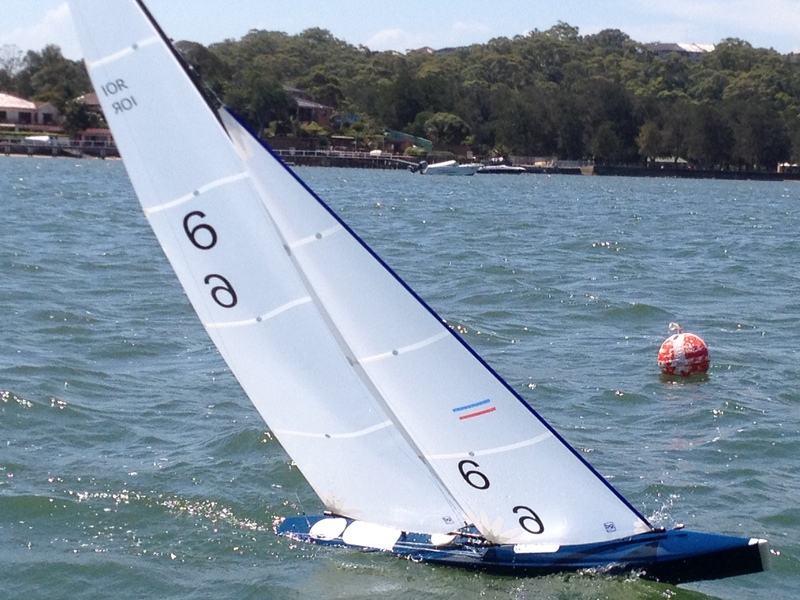 Since our first IOM design in 1998, we believe our designs have regularly given a good account of themselves across all levels of competition and presently hold two of the four IRSA - International Radio Sailing Associations class world championship title and the IOM European championship title. Our efforts in design have long been based on creating total yacht packages that are correctly balanced, easy to sail and tune across a full spectrum of wind ranges for the club sailor to any prospective World Champion. While we do realise the very nature of the restricted classes we design for offers an opportunity for designs to become dated or superseded, it has always been held as our belief that any new design we undertake should be a clear step ahead of our previous work by being thoroughly tested and proven on the race course before being put into production. Our current designs offered for production continue to successfully perform at the highest levels of competition around the world for not only ourselves but a wide number of owners of differing ability. This we believe sets us apart from our competition, reflecting the diligence taken before offering our designs to the wider public. Listed below are our current designs and their successes to date that are in either production, prototype or lines plan form. 'POP' is essentially a modified BritPOP hull taken from our original plug and made a little narrower. Bow sections were changed a little with a higher stem height and foredeck. It has been a useful tool to learn more about the successful BritPOP hull form with an eye on future design performance gains. 'BritPOP' is the culmination of many hours testing over 14 differing design elements on a supplied Reggae/Ska hull platform throughout 2010. From the outset our intentions were to design a boat with low windage drag and reduced leeway for the upper range conditions, yet not the the carry the wetted surface penalties shown by those already proven in those conditions when the wind goes light. A high priority was also given to speed through manouverability as this is critical in big fleets. 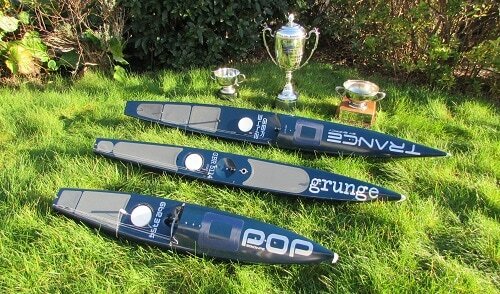 Results to date will show that since its launch prior to the 2010 Europeans, the BritPOP design has consistently shown itself to be the most successful IOM design available worldwide in world class competition. Click the here for further details and our licensed builders. Grunge is our most current design. The design is heavily influenced by our Britpop IOM design, sharing the same attributes of fast 'low mode' acceleration when in traffic, consistent straight line speed and the ability to manoeuvre easily in any wind or wave strength. Since first launched in April 2012, the original prototype remains unbeaten in all competitions raced in conditions from light A Swing rig through to the lowest conventional B2 rig. The first 3 pre production boats raced at the 2016 Worlds in Garda with the best sailed by Darin Ballington finishing in 5th place with 2 A heat wins and all 3 performing strongly. 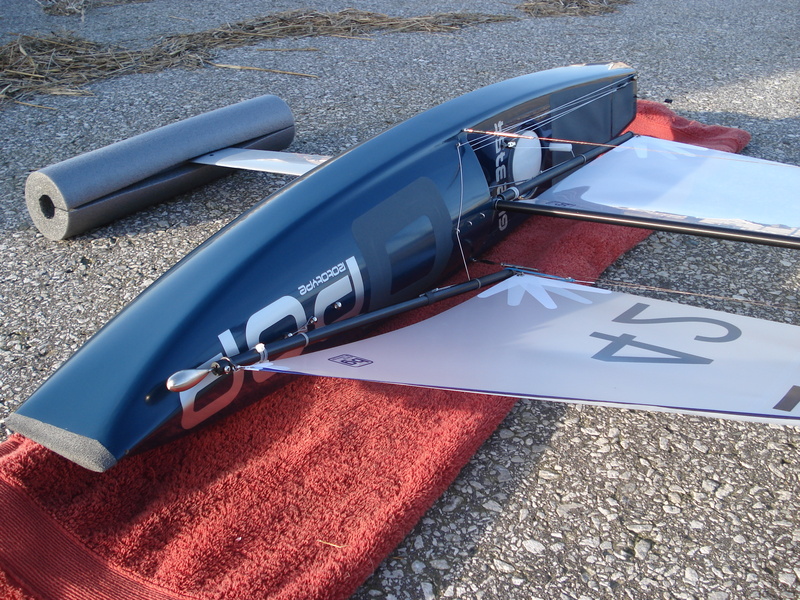 Moving on to 2018 Grunges took 3 of the top 4 placings in the light wind Worlds in Germany with 1st, 2nd and 4th positions. Trance is our first 10 Rater design and is based on our experience in the class in Australia over many years and the performance of our Grunge M design. Scott Condie has been the driving force for this design, meticulously building the first prototype and racing it to near immediate results, winning the 2014 Australian Nationals in its first competition. 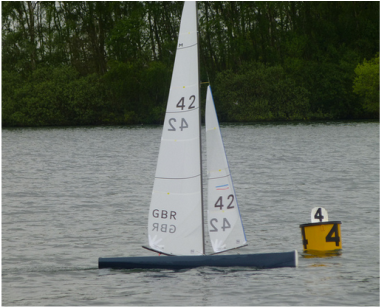 Scott continues to work with us to further develop and optimise ballast and rig ratios and with boat number 2 now in the UK, winning its first outing at the 2015 UK Nationals and after further modification also taking out the 2016 Nationals and the World Championships on Lake Garda. Electronica is our first design in this popular growing class. Our starting point design shares similarities from with our Grunge and Britpop, using the same principles in design and we are interested to learn just how well these will cross-over on a smaller scale. 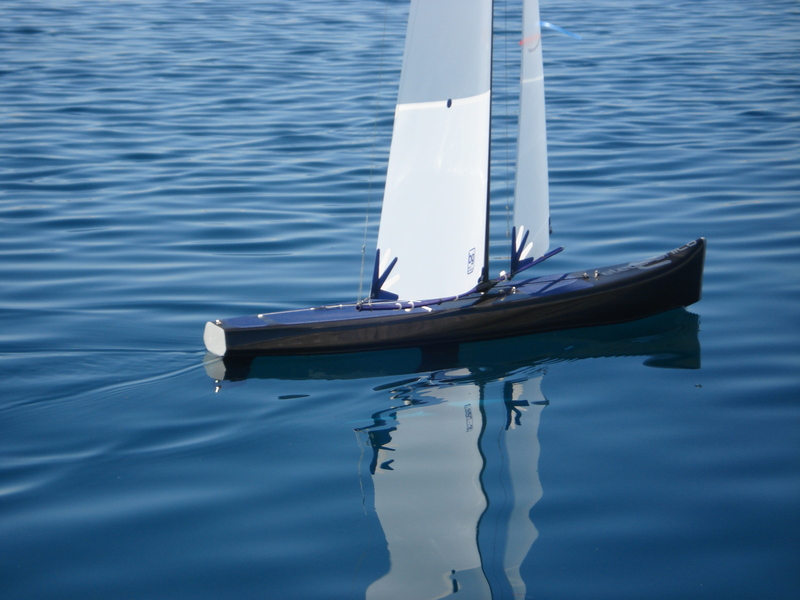 Our prototypes have been beautifully built to exacting standards by James Edwards of Robot Yachts. Having just launched prototype boat 1, we now plan to trial and evaluate every component of the design and optimise accordingly. This is as we have done with our other winning designs before any decision is made on possible production. ​'Alternative' is our current IOM plan design with influence and experience taken from our previous 'SKA' lines plan of 2010 and our successful BritPOP and POP designs. With a narrower waterline beam, 'Alternative' features a softer tapering chine line with less wetted surface area for lighter conditions, whilst retaining generous stability for hard upwind performance. Reserve volume has been retained through moderately flared topsides and our higher peaked 'splitting' foredeck used to good effect on our 'POP' IOM and 'Grunge' Marblehead designs. ​‘Indie’ is our current International Marblehead Class lines plan following on from the success of our ‘Grunge’ design at all levels of competition since 2012. We believe ‘Indie’ incorporates the most important factors in successful modern M design, sharing many similarities to ‘Grunge’. and a final A fleet finish for Carl Smith of NZL at the 2016 Lake Garda Worlds after week of solid improvement at his first International event.